This guide provides step by step instructions on how to install an SSL Certificate on cPanel. As one of the most popular web hosting panels, cPanel is easy to use and manage. The SSL installation is pretty straightforward, even if you don’t have advanced technical skills. First, you’ll learn how to generate a CSR code in cPanel; then we’ll focus on the installation itself; you will also discover a few interesting facts about cPanel’s history, and, finally, we’ll show you where to buy an SSL Certificate for cPanel. How to generate a CSR code in cPanel? Where to buy an SSL Certificate for a cPanel server? CSR (Certificate Signing Request) is crucial to your SSL application. You can’t obtain the SSL Certificate without it. Note: If you bought a wildcard certificate, add an asterisk in front of the domain name. This action will secure your subdomains. For example: *.ssldragon.com. Copy the whole CSR content (use the ctrl+a hotkey to select the entire text), and paste it into a word editor such as Notepad. You will need it during the order process with SSL Dragon. Note: Make sure you include the —–BEGIN CERTIFICATE REQUEST—– and —–END CERTIFICATE REQUEST—– lines. Once you’ve received your SSL certificate from the CA, continue with the installation instructions. Note: If you use a shared hosting plan, this option may not be available to you. If you don’t have the rights for SSL installation, contact your hosting provider for help. Hit the Install Certificate button. A message box will confirm the successful installation. Restart your server. 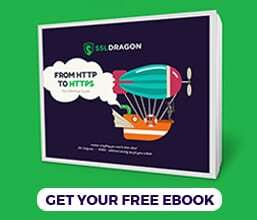 Browse the HTTPS version of your site and make sure the SSL green padlock is present. Click on it and inspect your certificate’s details. To perform a deeper test, use these highly recommended SSL tools. They will give you instant SSL reports on the state of your installation. Since its initial release on March 21, 1996, cPanel has grown into the most popular and appreciated web hosting panel on the planet. Both domain owners, and hosting providers love cPanel’s versatility, intuitive interface and features. Built on Linux, cPanel supports the leading applications and email services such as Apache, PHP, Perl, MySQL, POP3, IMAP, SMTP and many more. The original author of cPanel, John Nick Koston, initially designed it for Speed Hosting, a now-extinct hosting company where John had a stake in. Over the years, Koston and his associates maintained and developed cPanel, leading it to a global fame. Below we’ve listed the latest major cPanel releases. Once updated, cPanel cannot be downgraded to a previous version. You can read the changelogs and release notes for each version here. SSL Dragon’s prices are the lowest on the market, while our dedicated support team is highly acclaimed by the existing customers. 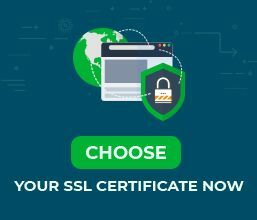 If you don’t know what type of SSL certificate to buy, simply use our SSL Wizard and Certificate Filter tools. They will help you find the ideal SSL product for your website.